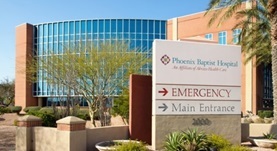 Dr. Brian Holtan is a specialist in radiology in Peoria, Arizona and he is working in collaboration with Phoenix Baptist Hospital. He graduated from University of Washington School of Medicine. He did his residency program in radiology at Baylor University Medical Center. The doctor is board certificated in diagnostic radiology and he has a practical experience of more than 20 years.